Bedford Hospital Hydrotherapy Pool has been closed since December. Health bosses at Bedford Hospital are reviewing the suitability of their Hydrotherapy Pool, the only one in Bedfordshire, after it was closed without warning in December. Concerned users of the service have now started a petition to get the pool reopened and to secure its future so they and others can benefit from Hydrotherapy. The ‘Save Bedford Hospital Hydrotherapy Pool‘ petition was set up by Jill Hamilton. So far, almost 300 people have signed but many more are being encouraged to show their support. Writing on the petition’s page, Jill says: “The closure of the pool left many people’s health seriously deteriorating as no suitable alternative has been offered. Hydrotherapy is exercising in water that has been heated to around 33ºc-34ºc. The NHS says that the water can help relax and support muscles and joints, while providing resistance to help patients gradually get stronger. Exercising in this way is particularly useful in managing a range of musculoskeletal and other chronic conditions, such as ankylosing spondylitis, rheumatoid arthritis, fibromyalgia and other similar conditions. One user, Peter Kellythorn, says that since its closure he’s already noticed a negative impact on his condition: “I used to use the pool regularly to manage Ankylosing Spondylitis. “I have noticed that my range of motion has deteriorated since the closure of the pool. Another user, Jenny McGee, added: “There is no other facility in Bedfordshire for people with painful long term conditions to obtain treatment to help keep them mobile. A spokesperson for Bedford Hospital NHS Trust said: “Following the temporary closure of the Hydrotherapy Pool at Gilbert Hitchcock House, a review of the hydrotherapy facility is underway. “Bedford Hospital NHS Trust is engaging with Bedfordshire Clinical Commissioning Group and the local Overview and Scrutiny Committee (OSC). “It is important to clarify that no decisions have been made about the Hydrotherapy Pool as yet. “The review is set to continue and we hope to have further information by the end of June. But, Peter Kellythorn is not convinced the pool will ever reopen: “Bedford Hospital patient advice and liaison service (PALS) assured me the pool would definitely reopen and would be reviewed in March. “The pool has not reopened. I am concerned the closure will become permanent. 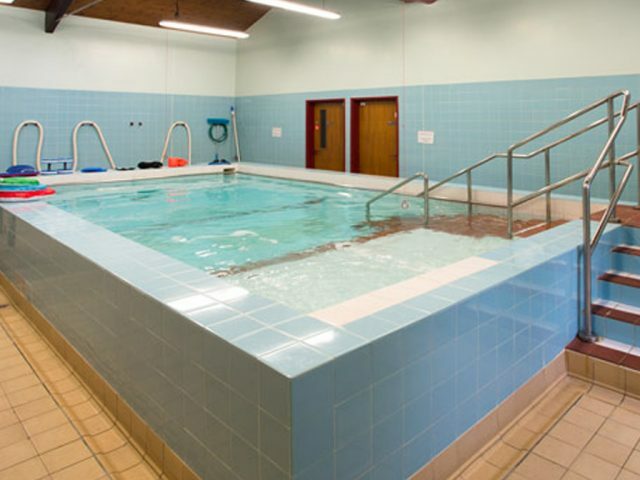 “I have seen an alarming trend in closures of hydrotherapy pools across the country.